Our local carpet cleaning services are ideal for busy residents who require an expert service at reasonable rates. Magic Carpet Cleaning is your best choice for a professional carpet and rug cleaning company in Surrey Quays SE16. Our carpet cleaners are well-trained and certified to work with the latest and most effective methods like hot water extraction and dry treatment. We use the latest machines, tools and products to deliver excellent clean results for your home carpet or rugs. 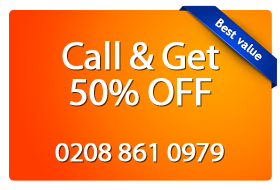 Contact us today on 020 8861 0979 and get a free price estimate from our assistants. Magic Carpet Cleaning in Surrey Quays (SE16) strives to provide the most comprehensive and cost effective carpet cleaning services throughout London. We offer a wide range of carpet cleaning services using the latest technology and environmentally friendly methods. Our full spectrum of carpet cleaning services includes steam cleaning, dry treatment and deep carpet cleaning. Our company specialises in cleaning all types of carpet. Our cleaning services are suitable for any property from a small sized studio flats to sprawling mansions. We do our best to provide the best quality services with the best possible prices. We offer a wide range of services and a team of cleaning experts who are fully qualified. We ensure our Surrey Quays (SE16) carpet cleaners use environmentally friendly material as well as the latest technology to prolong your carpets lifetime. Arrange a visit from our professional Magic Carpet Cleaning team in Surrey Quays SE16 on 020 8861 0979. Our friendly and well informed back office representatives will answer all your questions about our services, products and prices. We work 24/7 for your convenience and will guide you through our booking process. We can even send a team for a same-day service! On the other hand, you can fill in our quick and easy to use contact form with your information and details. Our team will return a phone call promptly. Don’t delay but order one of the best and most thorough carpet cleaning service in Surrey Quays!